The IRC is a voluntary association, not for gain, in South Africa founded in May 2010. The role of the IRC as a national body is to provide direction on matters relating to integrated reporting and integrated thinking in South Africa through technical information and guidance, conferences and other activities. Our organisational members are among the leading professional and industry bodies in South Africa. The founding members are the Association for Savings & Investment South Africa (ASISA), the Institute of Directors in Southern Africa (IoDSA), the JSE Ltd, and the South African Institute of Chartered Accountants (SAICA). 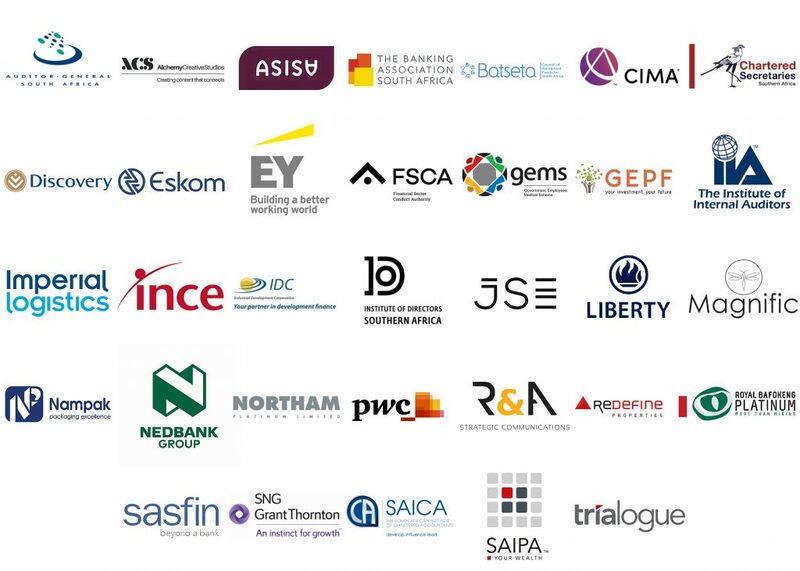 Subsequently, other organisations joined the IRC: The Auditor-General South Africa (AGSA); Banking Association South Africa (BASA), Chartered Secretaries Southern Africa (CSSA), Council of Retirement Funds for South Africa (Batseta), Government Employees Pension Fund (GEPF), Institute of Internal Auditors South Africa (IIA SA), Financial Sector Conduct Authority (FSCA), Chartered Institute of Management Accountants South Africa (CIMA SA) and the South African Institute of Professional Accountants (SAIPA). Each organisational member nominates a representative to sit on the IRC and there are also a number of individual honorary members. In April 2017 the IRC welcomed corporate members, a new category of membership. The 2019/2020 corporate members are: Alchemy Creative Studios (Pty) Ltd, Discovery Ltd, Ernst & Young (EY), Eskom Holdings SOC Ltd, Government Employees Medical Scheme (GEMS), Imperial Logistics Ltd, Ince (Pty) Ltd, Industrial Development Corporation (IDC), Liberty Holdings Ltd, Magnific Corporate Reporting, Nampak Products Ltd, Nedbank Ltd, Northam Platinum Ltd, PwC, Redefine Properties Ltd, Royal Bafokeng Platinum Ltd, Russell & Associates, Sasfin Holdings Ltd, SNG Grant Thornton and Trialogue (Pty) Ltd. In 2017, as part of the re-structure to accommodate the growing number of members, the IRC formed a board. The current members of the board are: Professor Mervyn King (chairman), Professor Suresh Kana (deputy chairman), Leigh Roberts (CEO), Graeme Brookes (JSE), Loshni Naidoo (SAICA), Sunette Mulder (ASISA) and Parmi Natesan (IODSA). In May 2018 the IRC members voted Larissa Clark (EY) and Stephen Sadie (CSSA) to the board to fulfil the two annual rotating positions. The IRC CEO is Leigh Roberts, the head of the IRC Secretariat is Sandy van Esch who is assisted by Elrida Oberholzer (intern). Sheralee Morland will assist with the organisation of the Annual IRC Conference. Michiel Engelbrecht and Graham Terry are responsible for Business Development. Yvette Lange assists in the research initiatives of the IRC. Darren Gorton and Corli le Roux are responsible for website content. The IRC relies on the assistance of other volunteers as well as the contributions of the members of its Working Group. The IRC has a Working Group comprising individuals who have expertise and experience in integrated reporting and related fields. This website aims to be an information hub on integrated reporting in South Africa. It offers the available guidance on integrated reporting in South Africa, technical Information Papers, the latest integrated reporting awards in South Africa, and the latest research reports and surveys of the integrated reports of organisations in South Africa.